Brisbane-based company Tritium has signed a Memorandum of Understanding (MoU) with Tata AutoComp Systems, India’s leading auto-component conglomerate, to supply DC Fast Chargers for electric vehicles in India. “The MoU ensures Tata AutoComp remains at the forefront of innovation in India, as the nation adopts the FAME India (Faster Adoption and Manufacture of (Hybrid and) Electric Vehicles) Scheme,” Mr Finn continued. 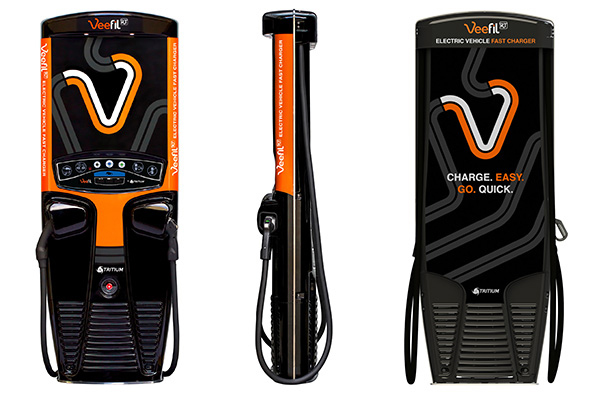 Tata’s Managing Director & CEO, Mr Arvind Goel, said Tritium’s Veefil-RT DC Fast Chargers are capable of charging the company’s full range of electric vehicles, including its two wheelers, passenger and commercial vehicles. “At Tata AutoComp, it is our endeavour to bring the latest technology and solutions to our customers,” Mr Goel added. “With the augment of Electric Vehicles, the need for chargers capable of powering them is significant and we see a huge opportunity in this market.